Sell iPhone 6S | How Much is My iPhone 6S Worth? How Much is My iPhone 6S Worth? iCloud locked phones are not accepted. Please turn off iCloud lock prior to shipping to GreenBuyback. Sell your iPhone 6S for cash today! 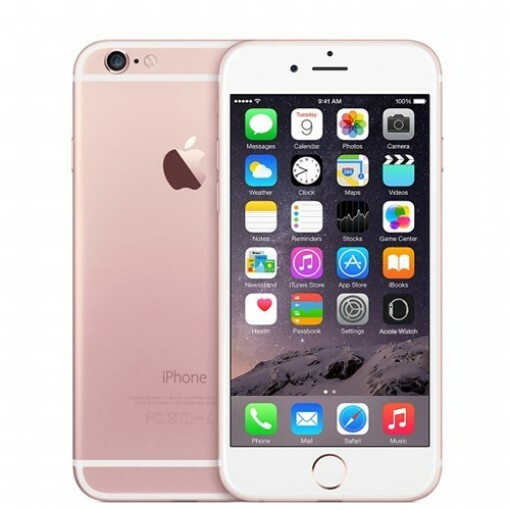 Select the information above in order to receive an accurate quote for the iPhone 6S you want to sell. Click sell item if you agree with the price that is displayed. GreenBuyback purchases cell phones, tablets, and laptops at the highest prices in the industry! GreenBuyback pays cash for your old cell phones, tablets, and laptops. When you sell your cell phone, tablet, or laptop to GreenBuyback you will never have to pay for shipping. GreenBuyback is dedicated to maximizing the cash back to our customers. Originally released in October 2015, the iPhone 6S boasts several improvements over the iPhone 6 where it counts. In terms of speed, almost everything was upgraded: the processor, wifi connectivity, and touch ID are all worthy of mention. The slim body is sturdier and less likely to bend or break, which is good news for those of us who slide our phones into our pant’s pockets! GreenBuyback will buy your iPhone 6S in any condition, even broken! Simply head to GreenBuyback to get a quote, send your iPhone 6S, and get cash quick! Enhancements to the new iOS also make for a more sensitive 3D touch system and new shortcuts. This sleek and powerful phone has a 10 hour battery life and models starting at 16GB for storage all the way up to 128GB models. With fun color options like rose gold, the iPhone 6S proves once again that Apple knows what we want before we know what we want. Selling a iPhone 6S is so easy with GreenBuyback; send your iPhone 6S to GreenBuyback with free shipping and you’ll get cash sent to you fast!